Born July 29, 1975 in Sacramento County, California, Stephanie Ingham Van Treese, the daughter of William (Bill) Henry Ingham III and Christie Laurence Ingham, passed away peacefully at home on Saturday, March 23, 2019 at the age of 43. She was surrounded by family and friends. She valiantly fought Colon Cancer during a four-month battle with traditional treatment which ultimately failed. She attended Eisenhower Junior High, Taylorsville High School and later married Jason B. Van Treese. There were two children from that union. 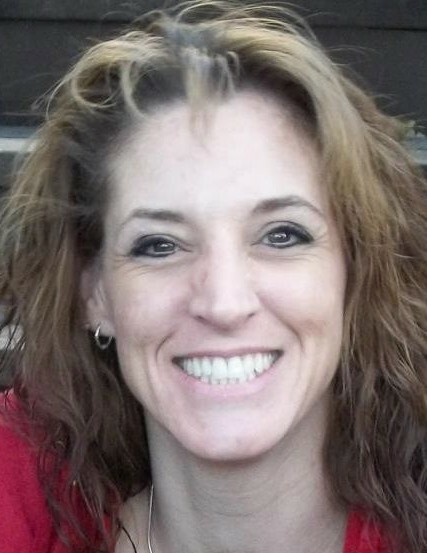 Her children are Samantha Van Treese of El Dorado, OK, Jason A. Van Treese of Quanah, TX and Ivan Nickolas (Nick) Vetecnik of Taylorsville, UT. Stephanie reached out to many individuals providing friendship and kindness. She was generous to her friends, family and anyone who was in need, willing to help in any way she could. Preceded in death by her brother, Robert Laurence Ingham (2000), Grandparents, Ward B. & Ella Brown Ingham & Elmer S. & Evadyna Hart Laurence. She is survived by her parents, 3 children, sisters Julie Ingham Christiansen (David), Lori Ingham and Kerri M. Ingham and 8 nieces and nephews and faithful dog, Tiana. We would like to thank all of the wonderful staff of Huntsman Cancer Center, Huntsman at Home, University of Utah and the many friends, family and neighbors who did their best to lighten her burden with laughter, love and tremendous support. A funeral service will be held Monday, March 25th at the Bennion Utah East Stake Center, 5980 South 1300 West, Taylorsville, UT 84123 at 3 p.m. with viewing from 2:00-2:45 p.m. All are cordially invited to celebrate her life with us.